LEARN, WATCH, PARTICIPATE AND TAKE A PIECE HOME! 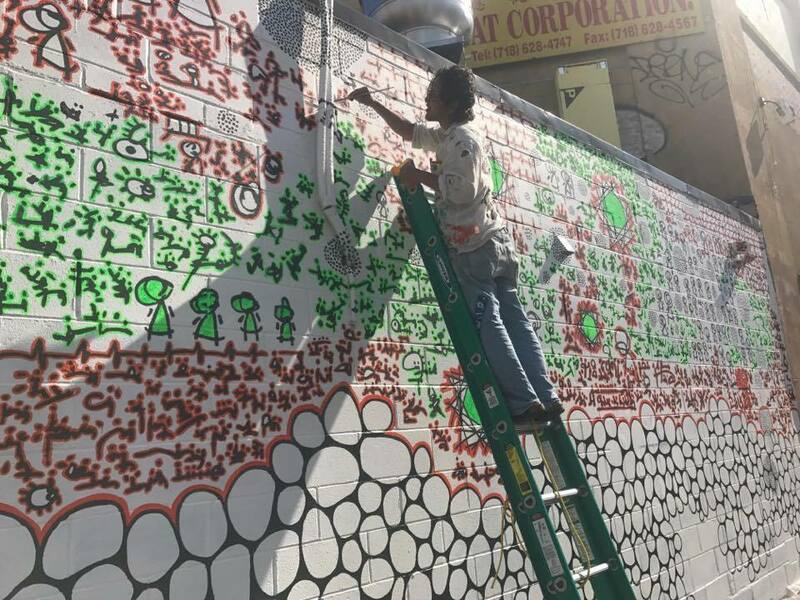 Explore the world's largest outdoor street art gallery with a street artist and help create a graffiti piece! Experience Bushwick Brooklyn via this incredible one-of-a-kind opportunity! This insider art tour kicks off with Brooklyn's incredible outdoor art gallery featuring over 50 large scale street art murals from famous street artists. Next, visit a unique community art space hidden in a Brooklyn warehouse and unique access gets you two artist studio visits. 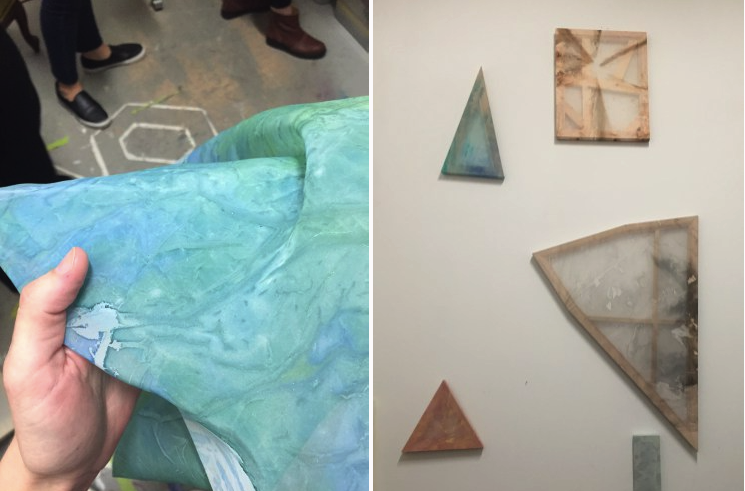 This special tour is interactive and experiential and art mediums involved include paint, neon, sculpture and more. 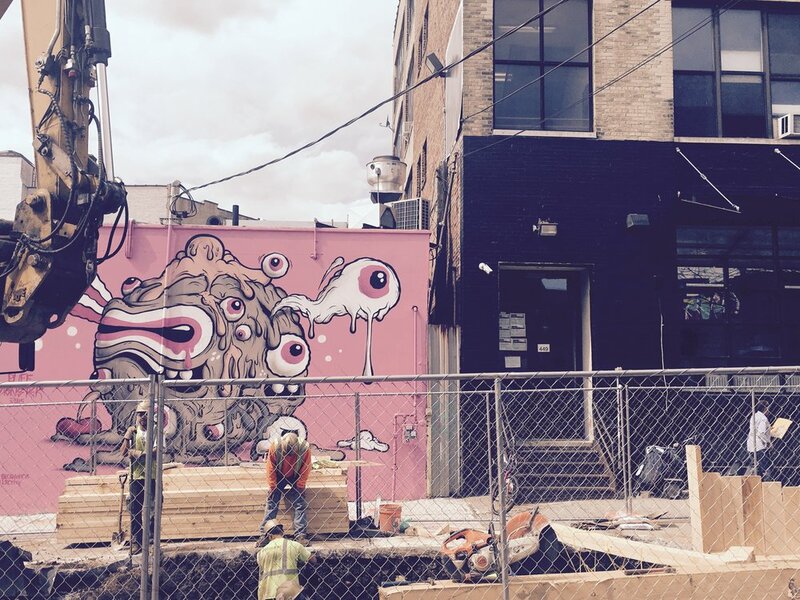 Vogue recently named Bushwick the second coolest neighborhood on the planet. The tour kicks off with a street art walk and concludes with wine! What could be better?! Cheers! To book, please fill out our reservation request. We offer this experience as a group tour so we can customize, combine with other tours, include food, etc. 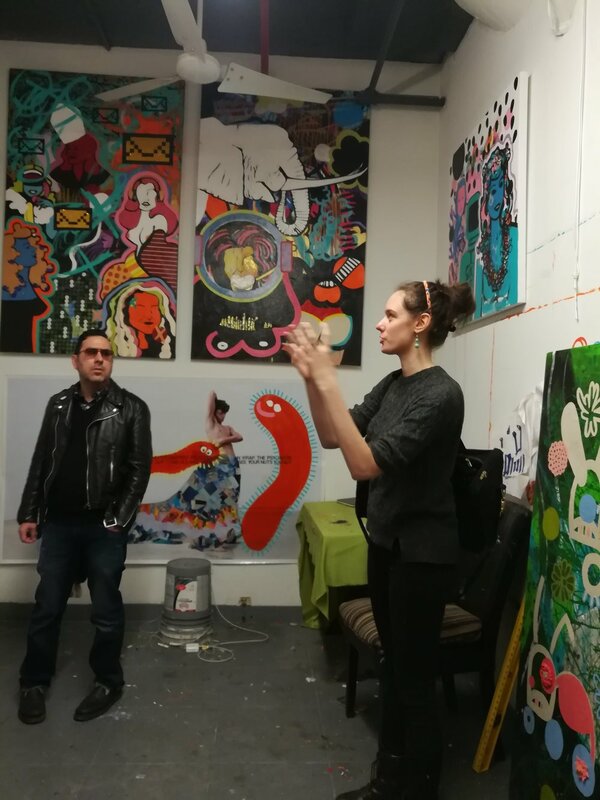 You can book the full experience with artist studio visits, or for a more economical experience, book just the street art portion. Graffiti a large scale street art mural with the artist. For an additional fee, the work can be done on canvas and taken home. We can also cut the work into pieces so everyone gets a take home. Pricing depends on group size. Please inquire. A large portion of the tour proceeds go to the artists and art organizations. Bring a camera and your curiosity.